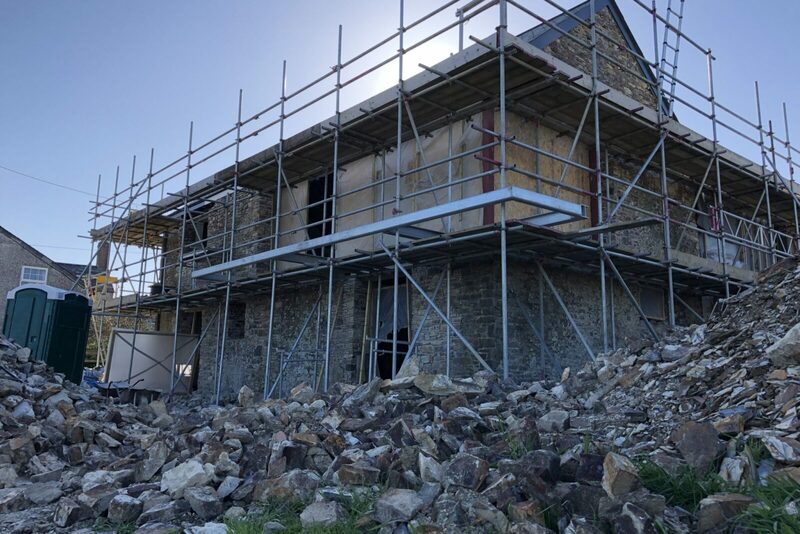 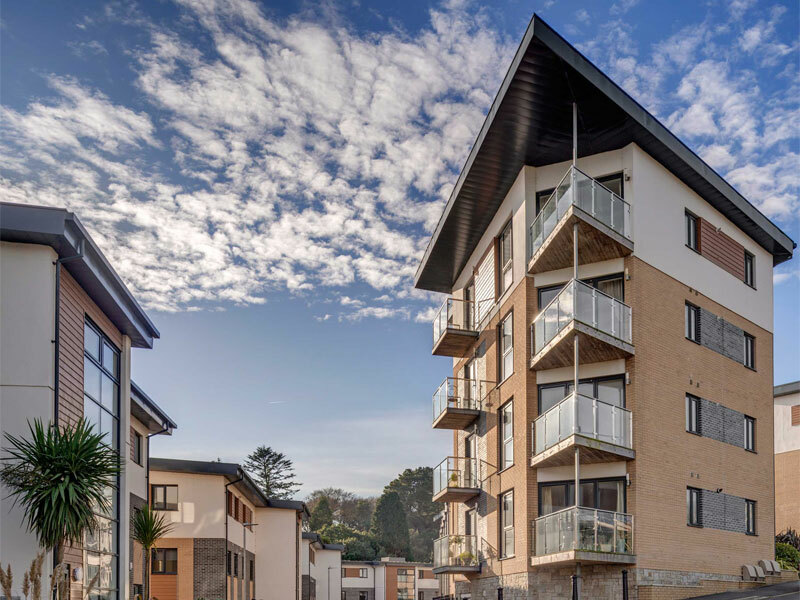 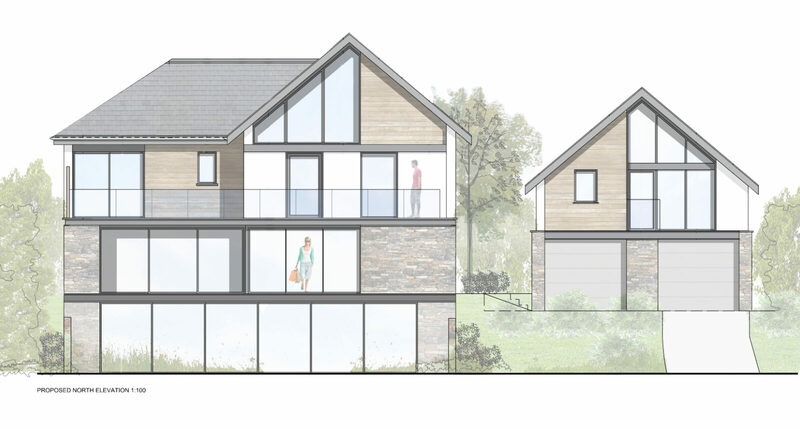 Exterior rear view shot of our Oxlea Road project on the South Devon coast. 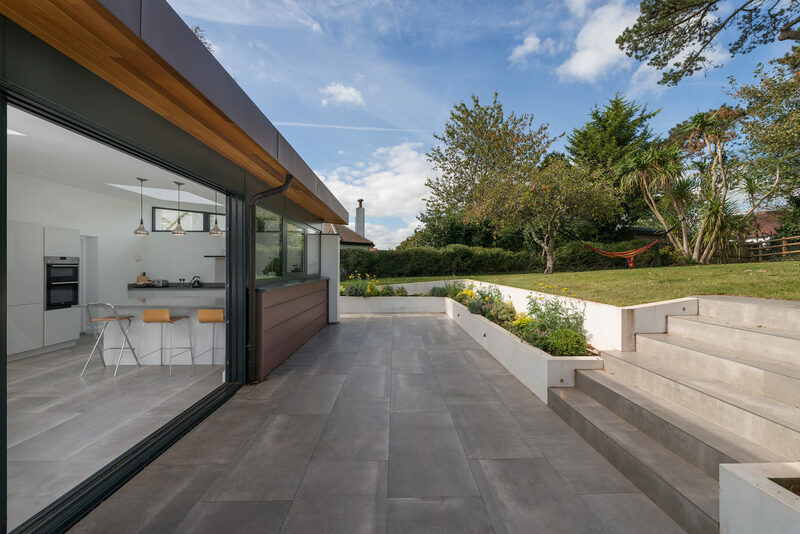 van Ellen + Sheryn have completed the extension and refurbishment of a mid century villa in Torquay, Devon. 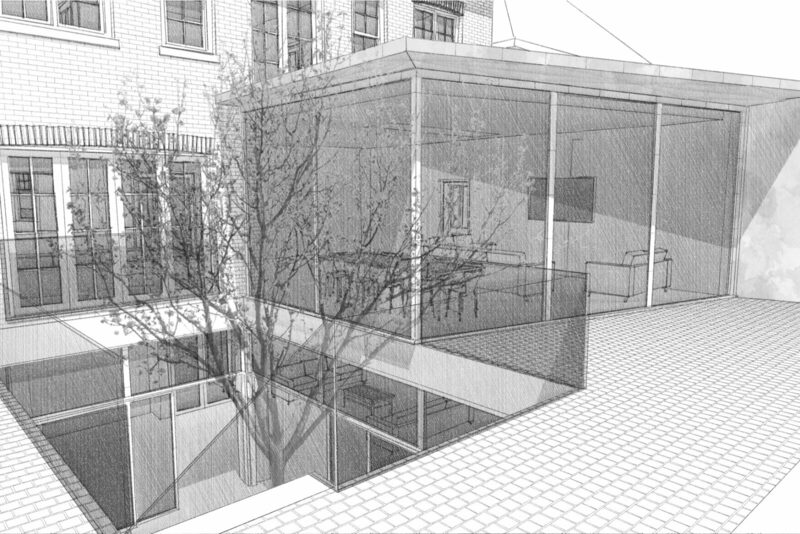 The house required re-configuring internally and an improved connection to the garden. 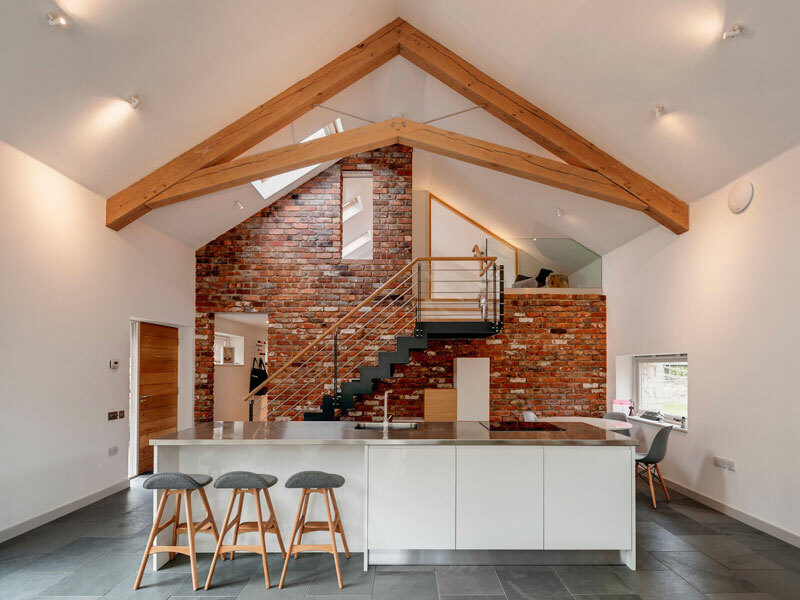 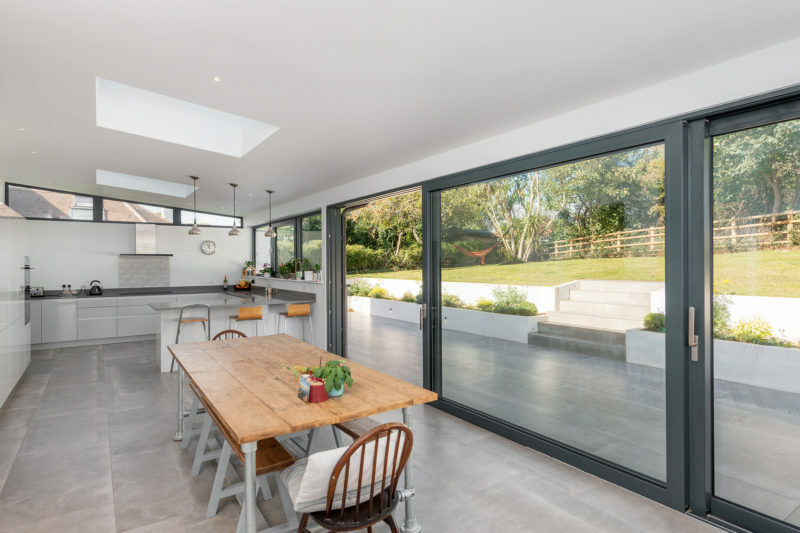 A new large family day room with kitchen and dining space has been provided at the back of the house, overlooking an outside eating area and the garden beyond. 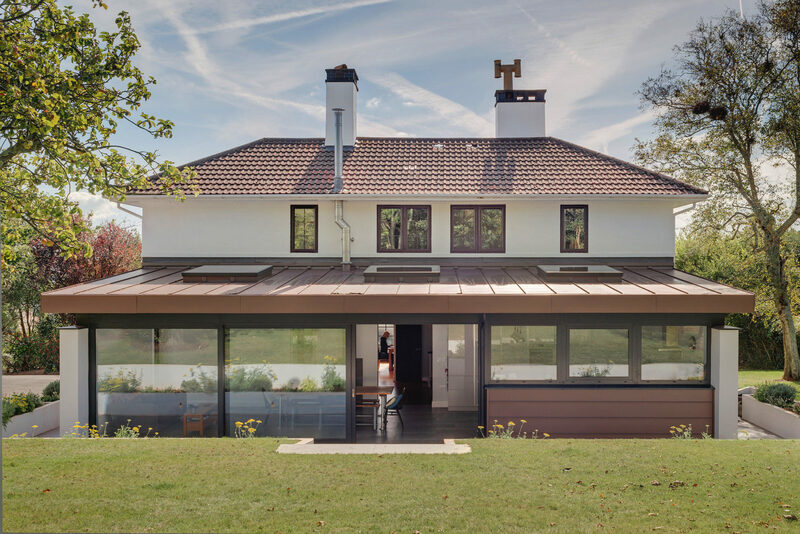 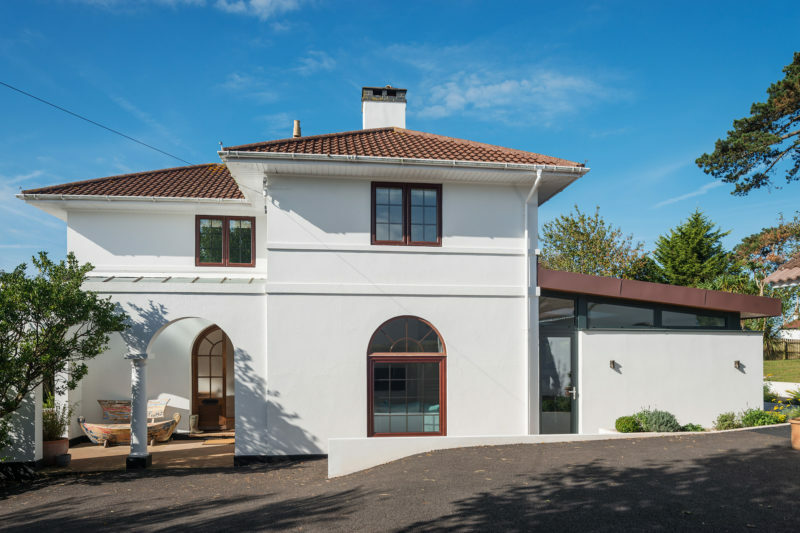 The distinctive existing material palette of bright white walls and red clay tiles directed the aesthetic approach of the extension. 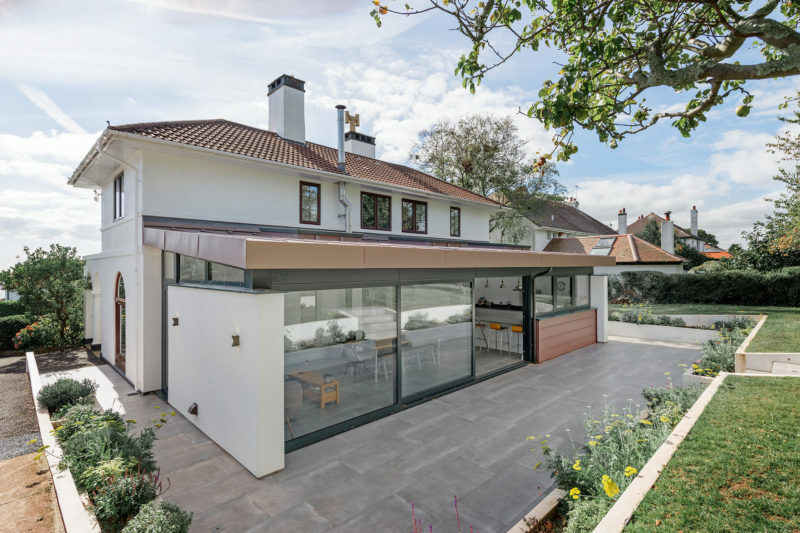 White rendered flank walls frame a long run of sliding glass doors, whilst the roof is finished in red terracotta coloured VM zinc. 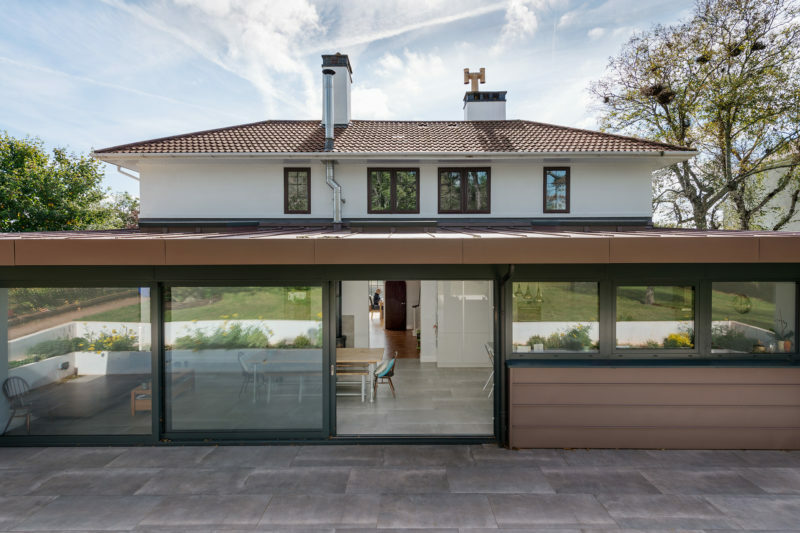 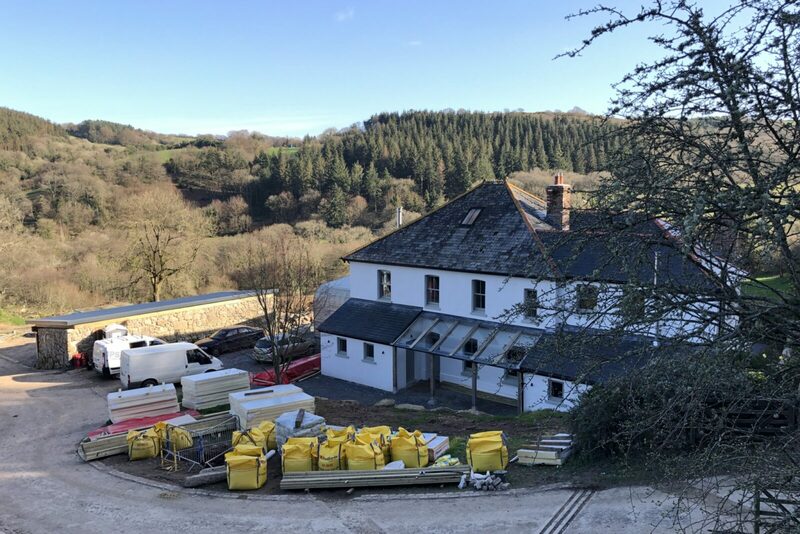 Large flushglaze rooflights have been installed within the zinc roof to pour more natural light into the back of the space and the house behind. 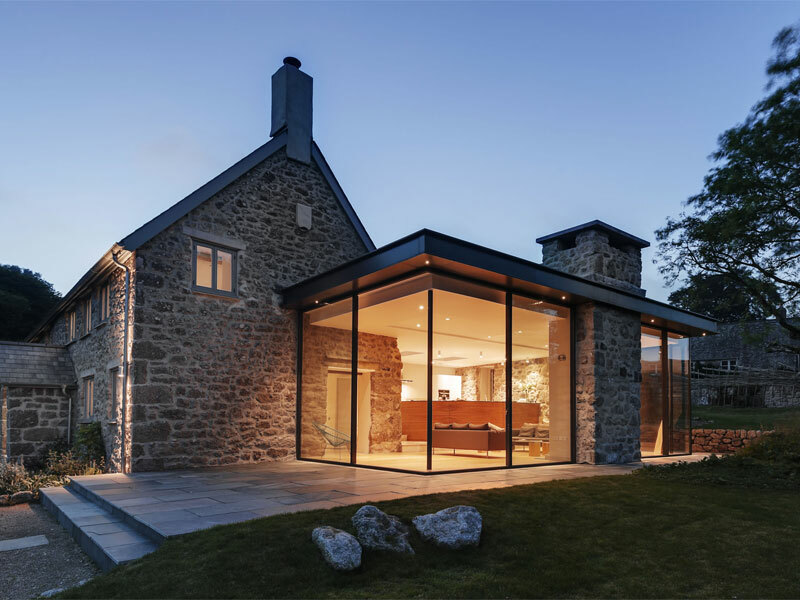 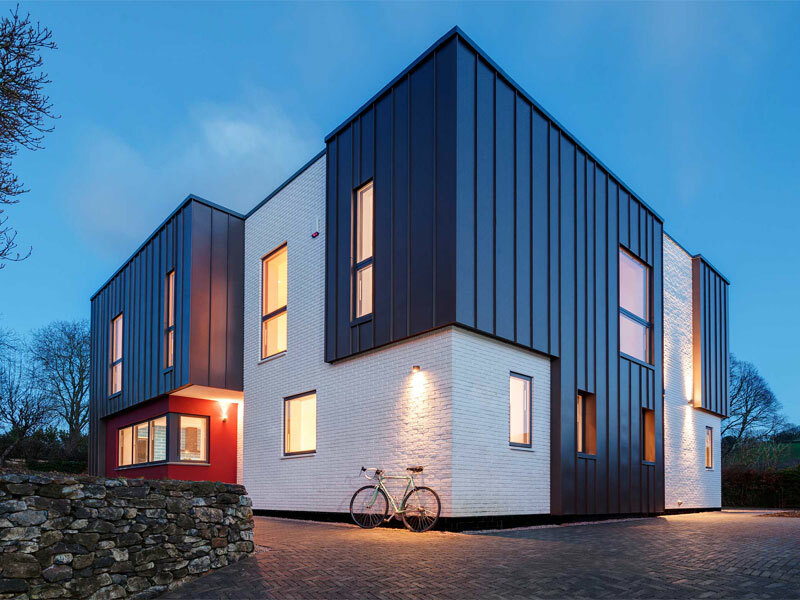 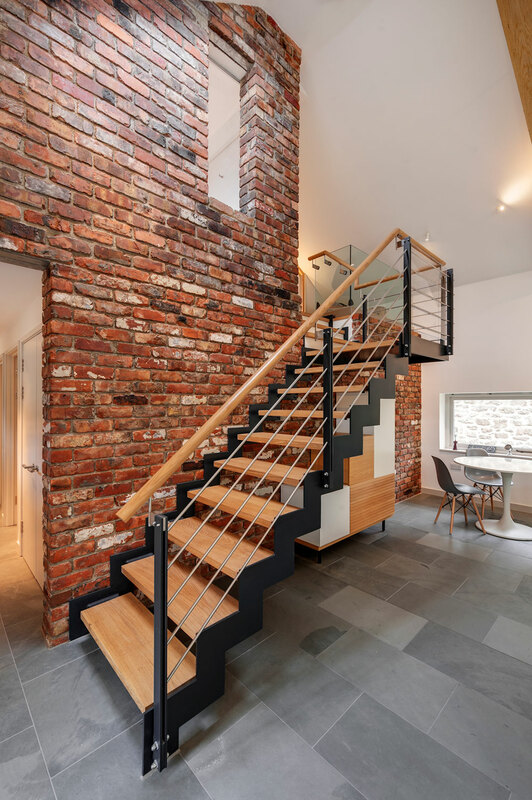 Reynaers windows and sliding doors were specified for their high quality build and apperance. 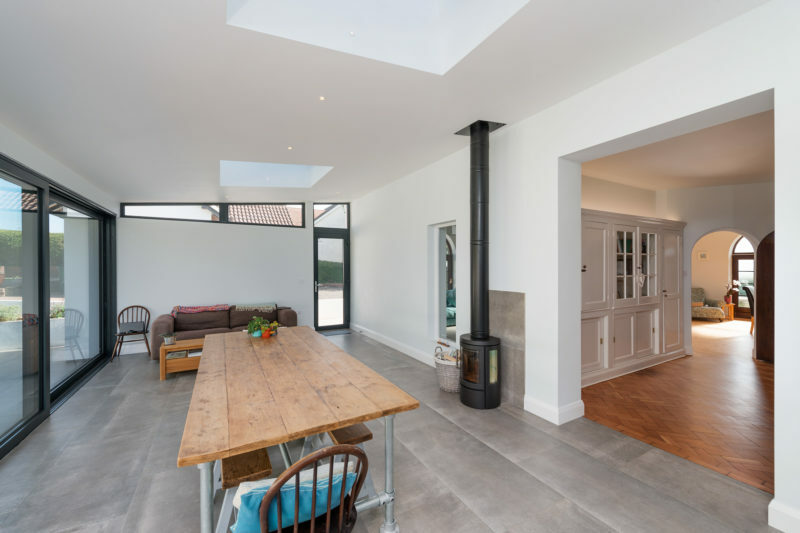 The whole house was refurbished internally, with new bathrooms, joinery and finishes, to create a fantastic family home on the Devon coast.